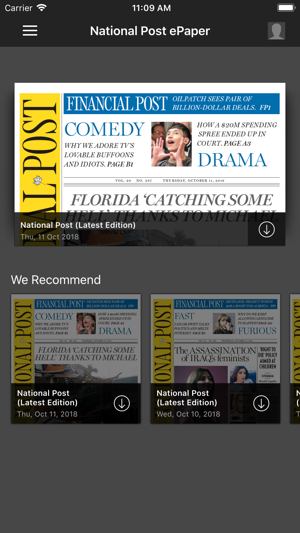 Now you can read National Post anytime, anywhere. 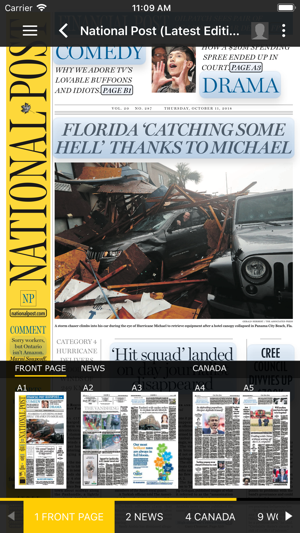 The National Post ePaper is available to you at home or at work, and is the same edition as the printed copy available at the newsstand. 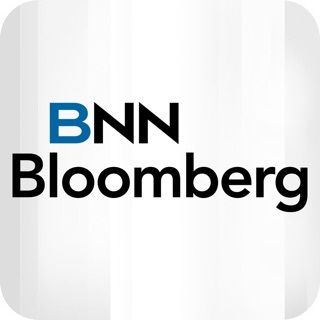 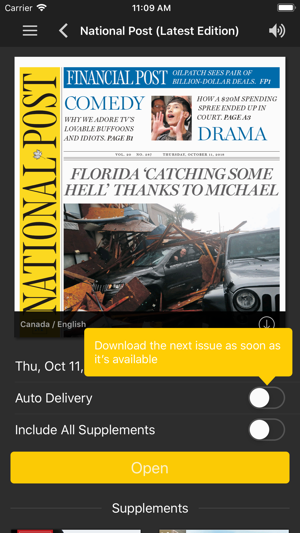 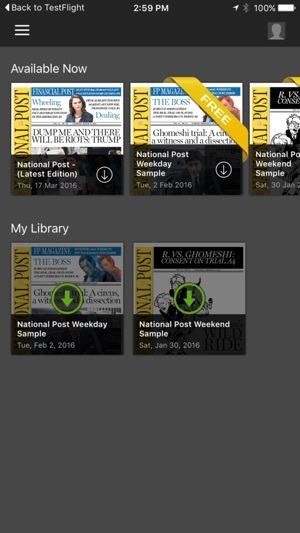 •The National Post ePaper app allows you to subscribe to a 1 month subscription for $12.99/month or purchase a single issue at $1.99/issue. 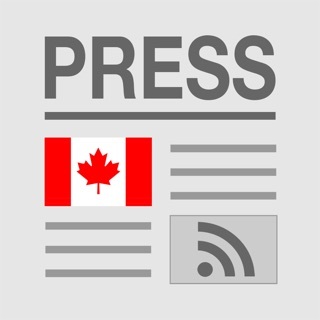 Great columnists- Murphy, Blatchford, Coyne, Ivison, McParland and Cosh. 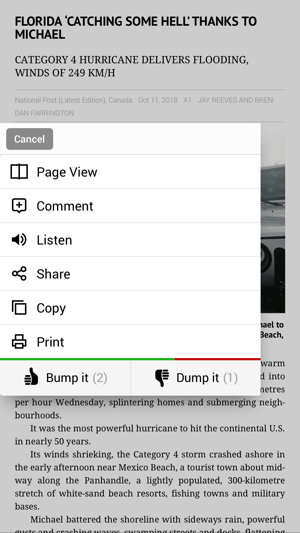 Interesting articles, engaging columnists, not as much kerfuffle and political correctness as the other Toronto rags.